Archived code lives on here. Also migrating the code to Github so I can update things. I’ll do my best to keep this up to date. Mostly little things, helpers, etc. This is the whirlpool shader talked about in this post. I never remember how Resources.Load() likes its strings formatted. This is a simple Unity3D editor utility. It lets you right-click on an asset in the Project tab and get a string representation that Resources.Load() likes. The string is copied to the clipboard so it can be pasted into code or other places. Utility classes for translating/rotating arrays of vectors. Useful statics for IntVector2.zero, IntVector2.one, IntVector2.neg1. This is a utility window for Unity3D that exposes the SerializedProperties of an object. 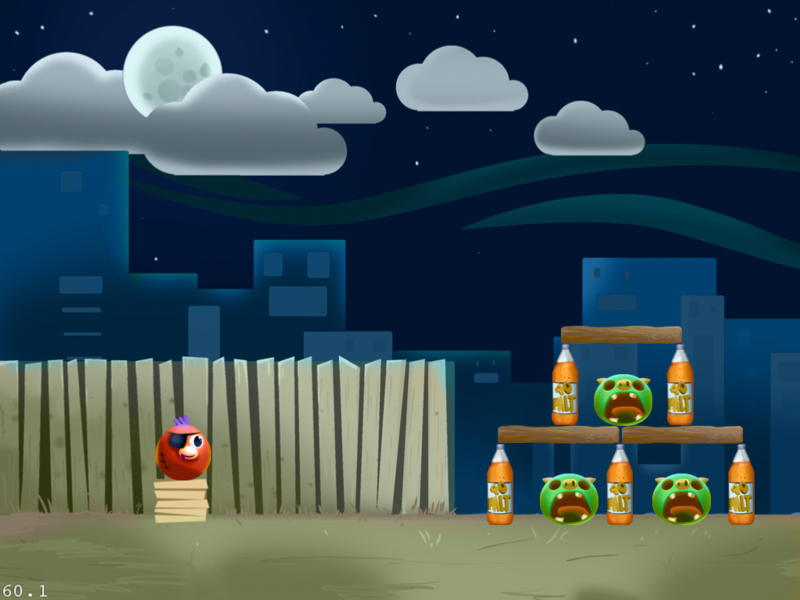 Have you ever needed to know exactly how Unity serializes your game object/behaviour/thing? Maybe you need to create an Editor in Unity but having trouble figuring out how the data is exposed? Maybe you want to see how Unity serializes its own internal objects? If you’re doing something in the Editor, you need to see it how the Editor sees it. Which is NOT intuitive. Hence the SerializedPropertyViewer. 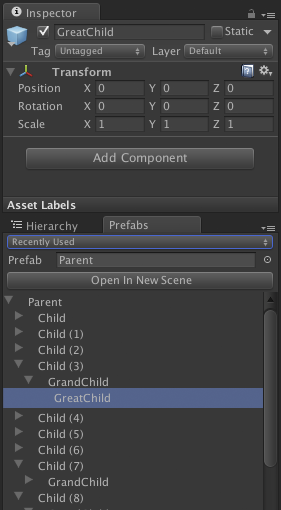 This is an editor window for Unity3D to facilitate working with Prefabs. I got tired of re-navigating to select various parts of prefabs. And littering my scenes with de-activated prefabs while I work on stuff. This is an experiment to see how this could potentially improve my workflow. This is a veeeery old piece of code on how to make an Angry Birds clone on Cocos2D in 30 minutes. Includes art as well. Project Search is the the free version of Project Search & Replace mentioned below. 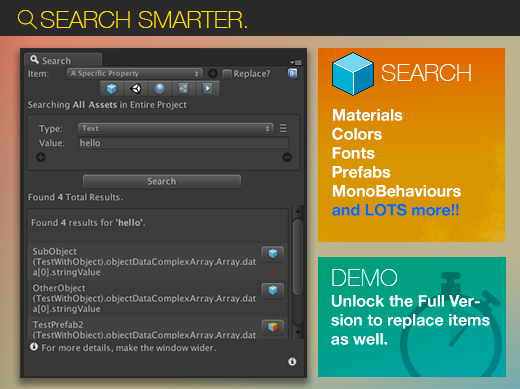 Let it be your gateway drug into how great it it to have a full-featured Search & Replace window in Unity. This package searches, but doesn’t replace. 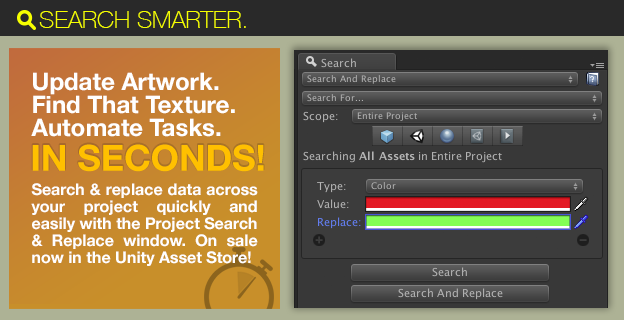 Everything above is available for free but if you’re a Unity3D developer check out my Project Search & Replace plugin, available for purchase in the Unity Asset Store! I use my own tool in game development DAILY and I keep finding little ways it saves me time.